Doggett grew up in Austin, MN, and graduating from St. Augustine High School in 1952. Doggett's started his business career after high school when he leased and operated a cash crop farm. Junior Achievement In 1955, Doggett entered the Army. After the service, Doggett returned to college on the GI Bill. He attended and graduated from Austin Junior College, and then went on Mankato State University (now Minnesota State University) where he graduated in 1961 with a B.A. in business administration. While a college student, he was co-owner of a small shopping center and department store. He sold his share in that venture after graduation and accepted his first position with General Mills, Inc.
Later, he did graduate work at Roosevelt University in Chicago and North Carolina State University, as well as attended Harvard Business School's Advanced Management Program. In June 1962, he married Jeannette Reinartz. He went to work for Minnesota-based General Foods. In 1968, Doggett accepted an assignment as controller of the newly-acquired Slim Jim plant in Philadelphia. Later, General Mills purchased Jesse Jones Sausage Co. in Garner, NC, and formed GoodMark to make Slim Jims at the plant. Doggett moved to Raleigh in 1969 to become corporate controller, and then was named vice president of finance from 1974-1982. In June 1982, he directed a unique leveraged buyout with three other executives of GoodMark from General Mills, who had put the subsidiary up for sale. Doggett became president and chief operating office. GoodMark is a leading producer and marketer of branded meat snacks, including the Slim Jim brand. Doggett led the company through an initial public offering in 1985 and its subsequent merger with ConAgra in 1998. 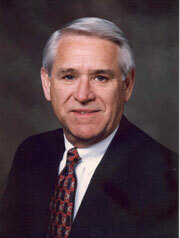 He retired as chairman, president and chief executive officer of GoodMark Foods, Inc., in 1999. The firm was a $200 million corporation. Beginning in 2000, Doggett served as Executive- in- Residence at North Carolina State University's College of Management. member of the Cardinal Club board of governors, member and past president of the Fifty Group, and a director of the National Association of Corporate Directors. Doggett has served as capital campaign chairman for the Food Bank of North Carolina, chairman of the Chairman's Club and member of the board of directors of the Wake Medical Center Foundation; chairman of the Business Friends' Council of the North Carolina Museum of Art (NCMA); director of the NCMA museum's foundation board; and director of the Board of Trustees of the North Carolina Symphony. The NC Museum of Art's Gallery of Italian Renaissance Painting is named The Jeannette and Ron Doggett Gallery, and the Catholic student center at NC State is named The Doggett Center for Catholic Campus Ministry at Aquinas House in recognition of his support. He established the Ron E. Doggett GoodMark Foods Scholarship Program for the advanced education of children of GoodMark employees, jointly sponsored and funded by Doggett and the company. He and his wife established the Ron and Jeannette Doggett Entrepreneurial Endowment at the couple's alma mater, Mankato State University, and the Ron E. and Jeannette R. Doggett Endowment Fund at the Triangle Community Foundation. Previous honors include the 1993 Entrepreneur of the Year award (manufacturing category, North Carolina competition) and the 1994 Greater Raleigh Entrepreneurial Company Award.